In the past to get the most out of their investment many buy-to-let landlords chose to self-manage their properties, but with changes to the law and the regulations that govern rental properties self-managing is turning out to be a bit of a minefield these days. Now, I know that you’re probably thinking “You would say that – You’re a Letting Agent after all!” That may well be the case, however, as a local agent I feel I have a duty to let those landlords who choose to self-manage know about the pitfalls of not doing things by the book. Fail to follow the rules and you can expect to face fines or even imprisonment, and in some cases failure to follow the regulations can prevent the eviction of a problem tenant. The majority of landlords cannot have an effective ‘hands on’ approach to managing their property due to lack of available time and knowledge of the laws and regulations. 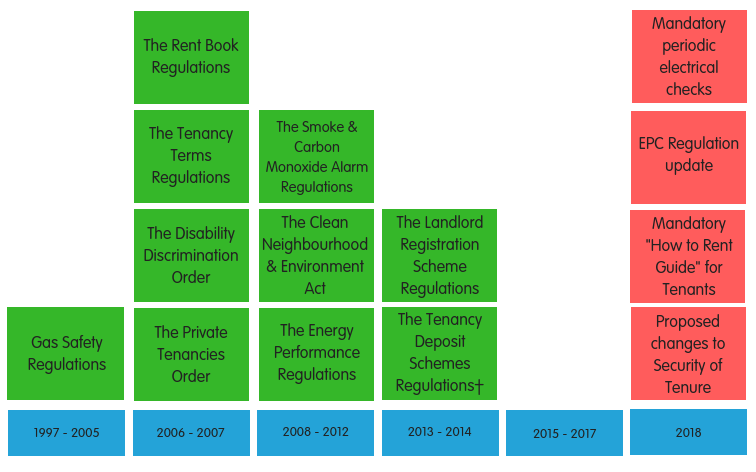 So, the choice for landlords is to either become fully versed in the 100’s of rules and regulations that govern the letting of a property and to take on the full responsibility for non-compliance that goes with it, (which could be up to £30,000 in fines), or get in touch with a professional letting specialist. If you are self-managing your investment property you need to know these regulations, as over the years I have seen many Portadown landlords face the consequences of cutting corners by not following them. There is no right or wrong answer to the question of whether a landlord should self-manage their property and tenancy, there is only what’s right for each individual. You have to weigh up the time and effort that you need to put in against the potential stress that effective property management can bring. If you would like more information about letting your property in accordance with current regulations, or maybe you would rather opt for the stress-free route with our fully managed solution, just drop me an email to gavin.boyle@orchardlettings.com or call 02838 355100.